"We help clients build, manage and protect their assets by providing them with the expertise designed to solve complex problems and achieve their financial goals." 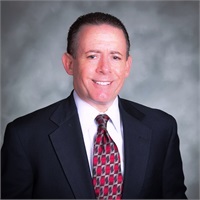 Ken Leonardini, CFP®, CLU®, ChFC® is a Financial Planner for Retirement Security Centers. He has been working with our group since 1990. Ken provides extensive and comprehensive financial planning for professionals, business owners, retirees and families. With his team of professionals, Ken develops financial plans – comprehensive "blueprints" customized for each client – that helps them achieve their personal financial goals. Ken graduated from California State University, Sacramento in 1988 with a major in Business Marketing. He is a Chartered Financial Consultant (ChFC), Chartered Life Underwriter (CLU), and became a Certified Financial Planner™ in 2004. Ken holds FINRA series 7, Series 22 and Series 63 registrations and represents one of the country's premier financial companies, offering a multitude of products and services to his clients. Ken is also a member of the Financial Planning Association (FPA). As a Financial Planner, Ken designs sophisticated planning strategies for transferring wealth to the next generation. He takes pride in building long-term business and personal relationships with his clients. Ken strives to simplify the financial planning process by translating technical information to his clients and being easily accessible. Aside from work, Ken takes time to serve the community. He participates on the Board of Directors for the Hemispheres Arts Academy – an after school program for children. His hobbies include playing golf and traveling. Ken resides in Sacramento, California.